One of the first announcement made by an Indian company at ongoing Consumer Electronic Show is a dual boot tablet from Micromax. The 10.1” tablet, aptly called “Canvas Laptab” comes with dual OS, Windows and Android. This is the first dual boot tablet launched by Micromax – all their previous tablets were based on Android operating system. According to reports, the Canvas LapTab will be launched in February across the stores in India. The price of this tablet has not been revealed by Micromax as yet. 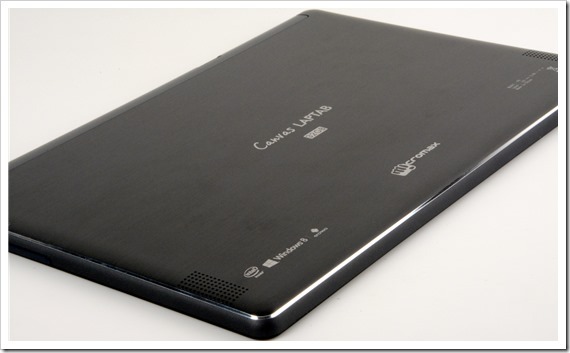 Canvas Laptab comes with Windows 8 OS as well as Android 4.2.2 Jellybean version and is powered by 1.46 GHz Celeron N2805 processor and 2GB RAM to boot. It has a storage capacity of 32 GB which is expandable upto 64 GB. The LapTab has 10.1 inch IPS display that offers a resolution of 1280X800, along with 2mp front facing camera. It does not have any rear facing camera. As far as connectivity goes, it has Bluetooth 4.0 and wifi. Micromax has made no comments on whether 3G connectivity will be available on this device. The LapTab comes with a transleeve that can be combined as a cover and stand for the wireless keyboard with a 230 mAh inbuilt battery offering continuous usage of 20+ hours. Weighing only at about 580 grams, the tablet is also light enough to be lugged around everywhere. Given the large screen, the tablet comes with sizeable 7400 mAh battery, that can easily last for a complete day on moderate use. LapTab’s launch by Micromax is quite bold in some sense. Being the first to launch this kind of device, Micromax will need to put in extra effort to market this dual boot tablet. Success of LapTab will also depend on the price point it is offered. If the tablet is priced below INR 20 – 22k, many users may find it attractive. It could be a worthy replacement for laptop/tablet combination. At the same time it will be limited to people who do not need to carry out heavy processor intensive work. Would love to hear your views on this new launch by Micromax – What do you think? Will it attract consumers? Flipkart Launches Apparel Brand Flippd, Eyes Private Label Acquisitions Like Zovi & YepMe! Intel Edison: A SD Card Sized Full Pentium-Class PC For Wearable Computing! 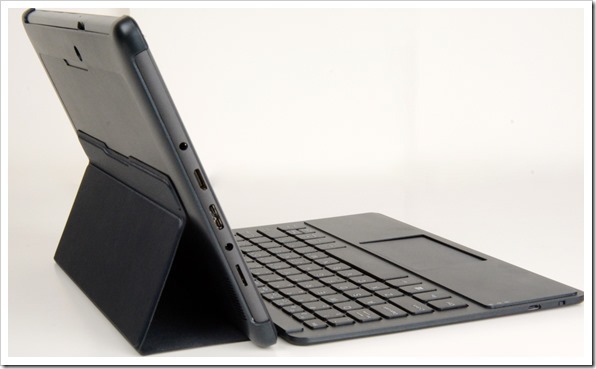 Notion Ink Adam II Tablet With 10″ Screen Launched In India! CyanogenMod Installer Launched On Google Play, Time To Move From Stock Android!